Beaches are lovely places, but sometimes they’re not the best for swimming. 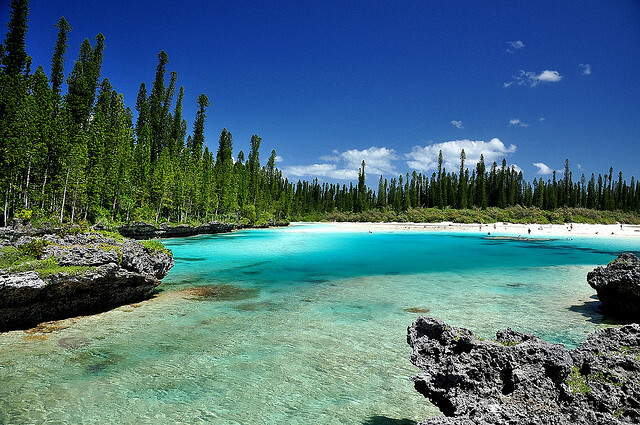 Calm beaches that are ringed by coral reefs are great for snorkeling but not for playing in the water. Waves are fun, but they can be dangerous and exhausting. 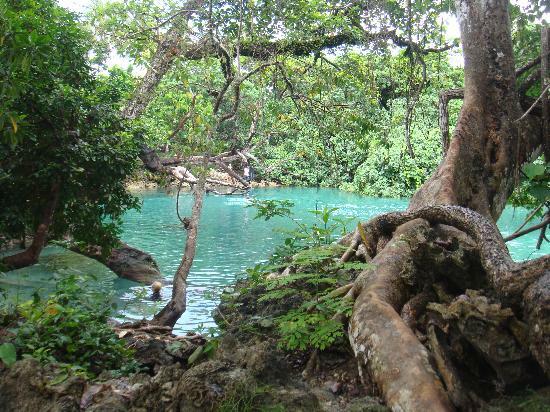 If you want to have a good swim, go to a swimming hole! 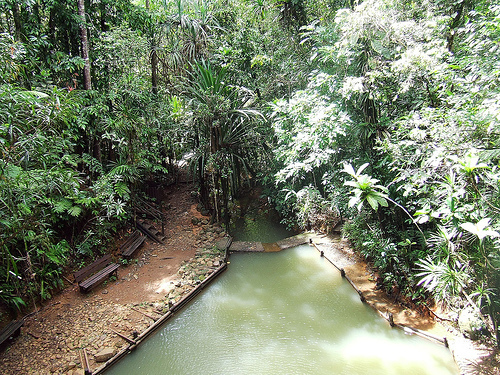 A swimming hole is a place where a river or creek naturally form a deep pool. They can also be formed by underground springs. Some of the best swimming holes are found close to beaches, and are filled regularly by the changing tide. Sounds nice, huh? Swimming holes tend to be warmer than the ocean, because the water has time to sit in the sun. Another great thing about swimming holes is that they’re often surrounded by trees. Getting a bit of shade on a blazing hot South Pacific day can be important! The trees also provide natural diving boards and launch pads. Remember to always be careful when jumping in to the water! It is often hard to tell how deep it is from just looking — the best approach is to test the depth before jumping.